I realize that when I started this jazztruth blog that I said I wanted to stay positive. However, there are times when speaking the truth means really telling the truth, sunshine be damned! I believe in a positive outlook and all that stuff, but I also believe that if you can't honestly look at the negative, then change will never occur. What sticks in my craw this fine morning is the headline for Downbeat Magazine, the online edition. Now, on the record, Downbeat Magazine is a fine publication, and historically important in jazz journalism. But let's face it, the world of publishing is tough these days (what with all the free content on the internet.....ahem!) and print publications are just trying to stay afloat. I guess I've long ago accepted (to a degree) that many of these magazines are essentially propaganda; whoever pays for the most advertising gets the features, and after that, whoever can afford the most aggressive publicists gets attention. Downbeat is not the worst offender: for example, a japanese promoter who produced some recordings was approached by Swing Journal (the biggest jazz magazine in Japan) and asked how much money he would pay to receive a 5 star review of the CD! Anyway, The Downbeat online edition headline reads: JAZZERS DIG INTO DISNEY REPERTOIRE ON NEW CD SERIES. EXXON IS A REALLY TOP NOTCH COMPANY! HOORAY! It would be different if somebody like Wayne Shorter decided on his own that he wanted to record some songs that happened to be associated with Disney movies. Maybe he would call it "Someday My Prince Will Come" or "Beauty and The Beast"(Oh wait, he has his own tune with that title. Never mind....). But this is so clearly a corporate takeover of Downbeat. It's so over -the -top commercial that it just makes me wonder if there is any integrity left anywhere. Am I wrong to think that jazz music and jazz journalism should steer clear of this kind of thing? I'm not against jazz musicians or magazines making a buck. But this is so blatantly, crassly commerical to me. In a time when rock and roll music is used for commercials to get kids to Join The Army and rap music is used to sell McDonald's, do we have to sell our souls to Disney to keep jazz alive? In the United States last night, the electorate basically voted against the Obama administration, after only two years of trying to reverse 8 years of Bush and Company. The Bush administration basically made Corporate America the de facto government of the United States. It would seem that people want MORE of this by how they voted last night. I don't have time to explain why Corporate Control of everything is bad. I thought that it was obvious. So to hear that the chance for Obama to actually change things has possibly come to a screeching halt, and then to see that Disney has effectively bought out the front page of Downbeat, well, that was a little troubling for me this morning. 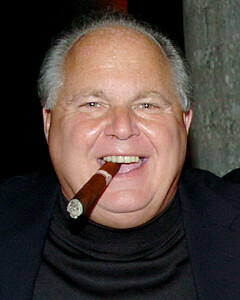 rush limbaugh cole porter tunes? I thought it was Rush sings Rush -a swinging tribute to prog rock. My biggest problem is their unfortunate use of the word "jazzer" ... in a headline no less! OK. I get the Disney turns people off, because it's a huge corporation. But, there's a lot of good music in the Disney catalog, and jazz musicians have mined it for years. 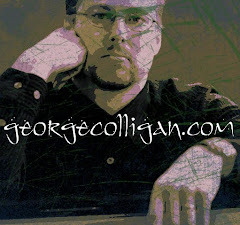 A few off the top of my head: "When You Wish Upon a Star", Bill Evans w/ Jim Hall & Freddie Hubbard; "Alice in Wonderland", Bill Evans Trio; "Someday My Prince Will Come", too many artists to mention! but there's a classic Chick/Herbie duet of it. That's number one. Number two, jazz isn't really all that pure a music, historically. Jazz musicians have always cast a wide net for repertoire, instruments, etc. They don't turn up their noses at harmonicas or tambourines or popular music. They're not snobs. So, there's that too. Number three: it looks like a pretty good record. If they're getting Kurt Rosenwinkel and Roy Hargrove to come in the studio and lay down some fresh new recordings, then I'm all for it. No one ever got paid much to write for Downbeat (I know from personal experience) and the journalism biz is tanking fast. DB's cheesy, old school headline was probably not bought and paid for by Disney, merely used to try to drum up a few eyeballs. Hanging on the wall in front of my desk I have a photo, probably from the early 1950's, of Harry James holding a giant pack of Chesterfields, with a banner above reading "You can't buy a better cigarette." It probably ran in a jazz magazine. First of all, I agree with Lubricity (Alex Rodriguez): "jazzer" is a dumb word used mostly by unhip people (usually journalists and academics) who are trying to sound hip. Secondly, sorry George, but I think you're overreacting. If only that jazz's biggest problem were that Disney is paying for a jazz record. Nobody objected for all the years that Schlitz beer, KOOL cigarettes, JVC, and CareFusion sponsored George Wein's festivals, or when Philip Morris sponsored an all-star big band that toured the world. There are plenty of reasons to be pissed off at corporate America; Disney's paying (mostly) good musicians to make a jazz record is not one of them, by my lights. Hear is another reason to be miffed at Disney for jazz players and producers who want to play tunes in the American songbook on their records. Because of Disney Corp. wanting to protect Mickey Mouse forever, the cutoff date was fixed for songs entering the public domain. So we must pay licensing fees for tunes from the 1930s long after they would have been in the public domain, i.e. free for us to perform on our CDs. Automotive Air Conditioning PartsSettle Credit Card DebtsSecondly, sorry George, but I think you're overreacting. If only that jazz's biggest problem were that Disney is paying for a jazz record. Nobody objected for all the years that Schlitz beer, KOOL cigarettes, JVC, and CareFusion sponsored George Wein's festivals, or when Philip Morris sponsored an all-star big band that toured the world.